Ramagiri Khilla or Ramagiri Fort is a magnificent place to be visited by anyone looking for a great day out in beautiful picturesque natural surroundings. 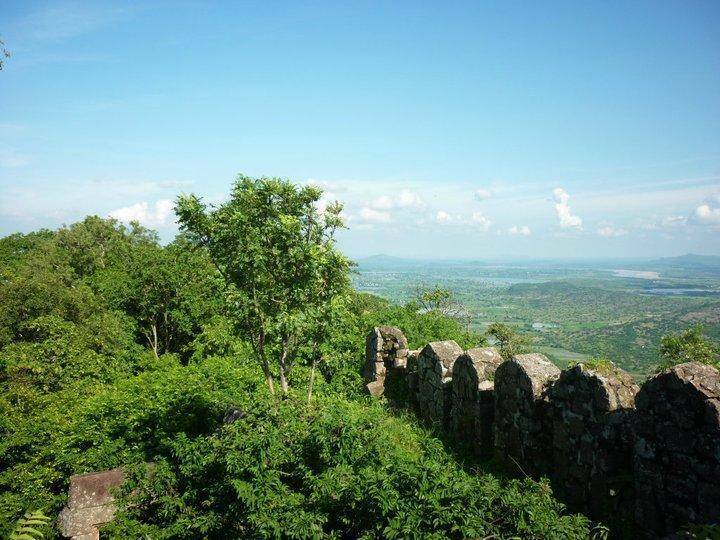 Surroundings of this fort are not only extremely beautiful but when you reach the top of this marvelous creation, you can witness the merging of the rivers Manair and Godavari. You must be thinking why you should visit this fort when you can visit many other places instead. A unique feature about this place which is rare to find in other places is that it has a great growth of Ayurvedic plants along with a whole host of interesting and rare vegetation. The beautiful state of Telangana is filled with stories about the valor and bravery of Kakatiya kings- stories which are made real while witnessing the walls and pillars of the forts and palaces they built. The Ramagiri Khilla in Pedapalli is one such fort built during the Kakatiya dynasty which stands tall even today to retell the stories of the lost past. The Ramagiri fort lies on the Karimnagar – Manthani highway, about 2 kilometers from the Begumpet village. Ramagiri fort is about 60 KMs from Karimnagar. It is suggested that you visit this marvelous fort as places like these need to be discovered further so that they get the fame they deserve.